The Pelican-Hardigg AL5415-1026 X-Large Shipping Case (Black) is a one-piece, molded lightweight, high-impact polyethylene case designed to transport and protect a 42-50" flat screen monitor. The case has reinforced corners and edges for additional impact protection. It has positive anti-shear locks, which prevent lid separation after impact, and reduce stress on the hardware. The case has molded-in ribs and corrugations for secure, non-slip stacking, columnar strength, and added protection. It has recessed hardware for extra protection. 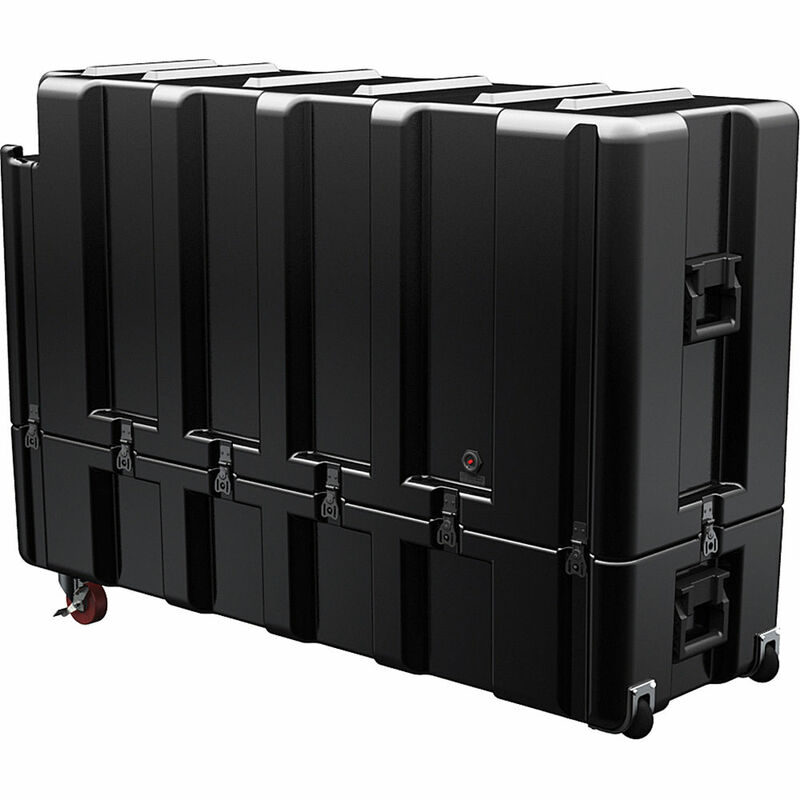 The case is transported by a Pelican Comfort Grip handles and 4 built-in wheels. . Box Dimensions (LxWxH) 58.0 x 38.0 x 19.0"